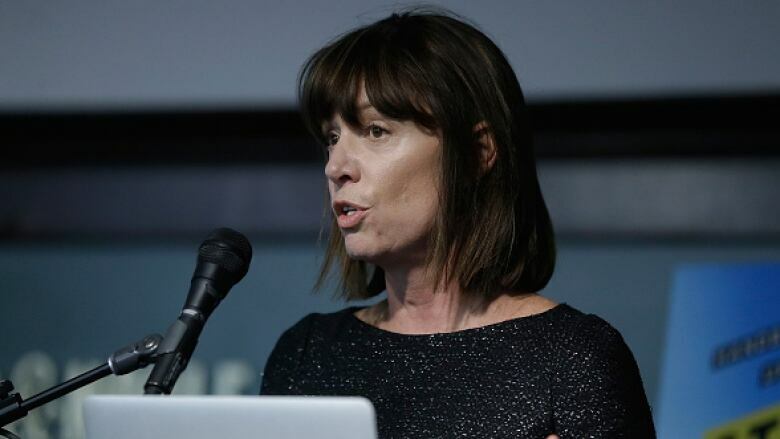 During Janette Sadik-Khan's time as transportation commissioner, New York built more than 600 kms of new bike lanes, and repurposed 180 acres of asphalt for pedestrian and bike use. Bicycle lanes and plazas that take up space previously used by cars are controversial at first, but once people see that "carmageddon" doesn't result — and there are actual benefits for people and businesses — they get on board with the change. That's according to Janette Sadik-Khan, who, during her time as transportation commissioner for New York, built more than 600 kilometres of new bike lanes, and repurposed 180 acres of asphalt for pedestrian and bike use. "Certainly every inch of the 180 acres that we took back from cars for people on foot and on bike was a fight" said Sadik-Khan, who spoke in Vancouver on March 24 to promote her book Streetfight: Handbook for an Urban Revolution. "People said these changes would not work. There were these dire predictions that putting down these bike lanes or putting in these plazas would result in carmageddon … and we'd be completely congested and not be able to move. "The result was none of the predictions came true. New Yorkers now by overwhelming margins approve of the bike lanes, the plazas, and the bike-share program, and it shows how if you build the world of the possible — if you show people how their streets can be — they will buy into it." 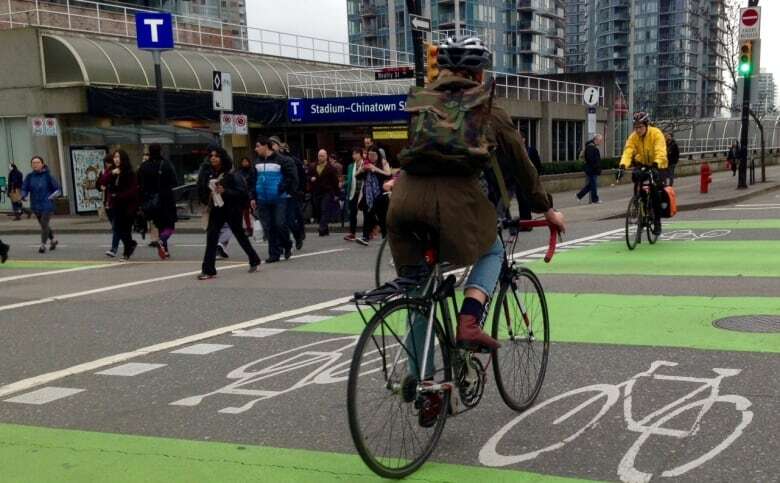 Though the City of Vancouver has expanded the number of bike lanes throughout the city in recent years, plans for new lanes — such as on Commercial Drive — continue to meet opposition. The Commercial Drive Business Improvement Society released a report March 22 that said 83.5 percent of business owners surveyed do not want separated bike lanes on the East Vancouver street. However, Sadik-Khan said that "the bottom line is better streets are better for business." "We proved that in project after project on the streets of New York," she said. "On the streets that we put down protected bike lanes we saw retail sales go up over 50 per cent. We saw commercial vacancies go down when we put in pedestrian plazas, we saw property values triple, and Times Square became one of the top 10 retail locations on the planet when we closed it to cars on Broadway between 42nd and 47th street." Another project in the cards for Vancouver is a "greenway" through the Arbutus Corridor, which the City of Vancouver purchased earlier this month from CP Rail. Mayor Gregor Robertson called the project Vancouver's chance to have something like New York's High Line — a park in Manhattan on an elevated section of a disused railroad. 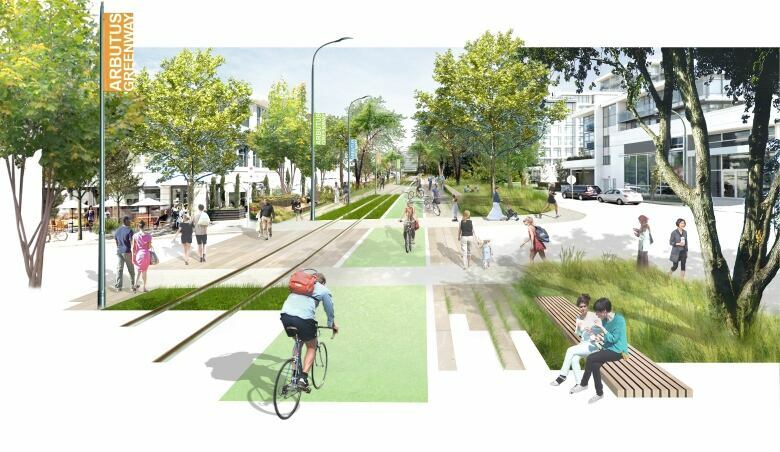 Though the city will seek public input on how the greenway will look, Mayor Gregor Robertson told reporters that the revamped corridor will be designed for cyclists and walkers and may even include light rail. Sadik-Khan said she would "love a project like that." "The opportunities are going to be extraordinary to play along the way, on this new greenbelt," she said. She said she understands the opposition that people have to these new projects, since people are "passionate" about their city streets. "In cities they're really our front yards, and everybody has a very strong opinion about how our streets should be used," she said. "But for decades our streets have actually operated the same way. We've looked at our streets as nothing more than ways to move cars as fast as possible from point A to point B and forgotten all of the other ways that a street can be used."